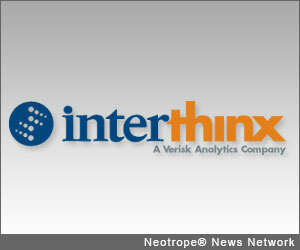 AGOURA HILLS, Calif. /California Newswire/ — The Predictive Analytics Group at Interthinx, a Verisk Analytics (NASDAQ:VRSK) subsidiary, announced today the availability of a white paper outlining its recommendations for conducting stress testing on retail lending portfolios: "A Proven Approach to Stress Testing Consumer Loan Portfolios." The white paper details the measurements, data sets, and procedures needed to develop more sophisticated economic models to assist lenders in meeting stress-testing requirements. "Scenario-based forecasting is a critical aspect in assessing a lender's ability to withstand economic stressors," said Michael Smith, chief technology officer and chief architect at Interthinx. "By quantifying the factors driving portfolio performance, we can provide transparency in the modeling process so managers can see why performance changes." At the crux of this methodology is the isolation of portfolio performance components to separate the non-economic factors that often skew portfolio analyses and provide imprecise results. By considering economic factors separately, retail lenders are able to predict more accurately how different economic scenarios would affect both their portfolios and the overall health of their capital reserves. When conducting the analysis on behalf of its clients, Interthinx relies on its patented Dual-time Dynamics (DtD) technology, which uses a two-stage decomposition process to analyze rates of change in delinquency, default, and other variables. DtD is able to distill historical portfolio performance down to its core drivers and isolate macroeconomic structure. "Job one at Interthinx is to develop technology and processes that support our clients' strategic planning and risk mitigation initiatives," said Jeff Moyer, president of Interthinx. "When combined with best practices in selecting economic variables, the information distillation that DtD decomposition provides can be invaluable for organizations seeking to create economic response models for stress testing." To download a copy of the white paper, visit: http://www2.interthinx.com/Predictive_Analytics_Stress_Testing . Interthinx, a Verisk Analytics (NASDAQ:VRSK) subsidiary, provides essential products and services to mitigate risk in the mortgage and retail lending marketplace. Interthinx offers solutions in mortgage fraud and verification, property valuation, compliance, quality control, loss mitigation, retail loan loss forecasting, and capital planning that are used by the nation's top financial institutions. Interthinx helps its clients minimize risk, increase operational efficiencies, satisfy regulator demands, manage data verification, and remain compliant. For more information, visit http://www.interthinx.com/ or call 1-800-333-4510.